i describe a small museum which is quite a something ... not a military museum but to remember those who died at the hands of Nazi ..
Radegast railway station. 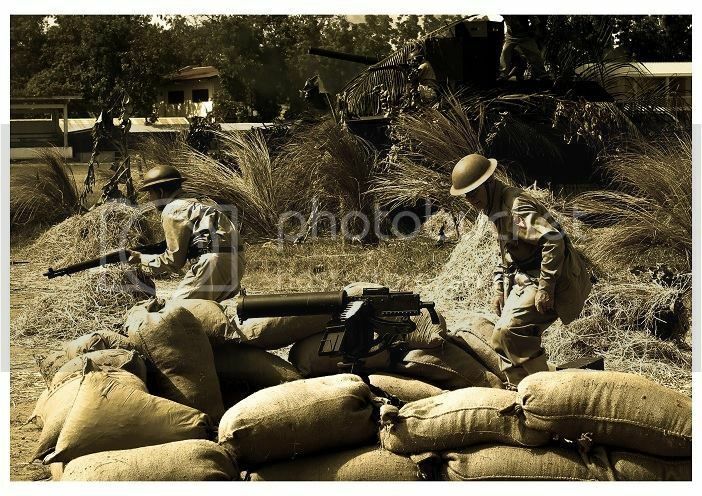 City on the edge of my wooden house, high on a seven-meter, so inconspicuous, that at the photographs of World War II niknie with piles of planks. Radegast railway station was closed Jewish Lodz. Lay in the north-eastern edge of the ghetto, already outside its borders. The link to the ghetto area fenced on both sides of winding road. It just left gettowi Jews. It came at the railway station Radegast scarce supplies ghetto. This is odjeżdżały further shipments to death ... to the north-west to the Chelmno nad Nerem, the first extermination camp in Poland, and south-east to Oswiecim (Auschwitz). Deportation began on 16 and 1942. The first transport departed from the station towards the Radegast Chelmno. Within four months, to 15 V, 1942, from the ghetto were sent to everyone receiving death benefits, prisoners, and the merchants, and soon after them the Jews zachodnioeuropejscy. A few months later, in September 1942 year odjechały Radegast train transports to Chelmno with old and children. The so-called. "great rummage" was transformed in the great Jewish slave labor camp for the Nazi state. In 1944 it began the final liquidation of the ghetto in Lodz, the last ghetto in Poland. 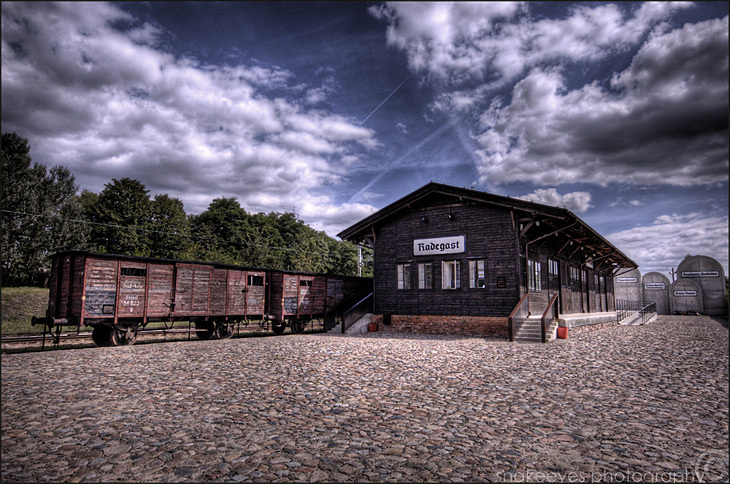 29 Aug 1944 years from the Radegast station went to Auschwitz last transport of the Jews of Lodz. Retained the original wooden station building. Long time was still used by trains. Today, requires renovation. Its stores are located inside. Besides survived - already closed - two original tracks. It's the rails jechali Jews of the Lodz ghetto to Chelmno and Auschwitz. 29 Aug. 2004, on the anniversary of the last departure from the ghetto of transport, will be celebrated 60. 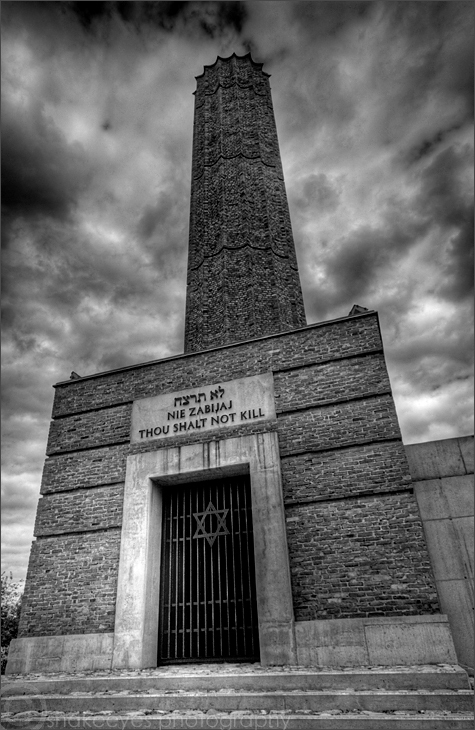 Anniversary of the liquidation of the ghetto in Lodz. One of the key elements of this event is to be readaptacja Radegast station and transform it into a memorial and educational center of scientific progress. 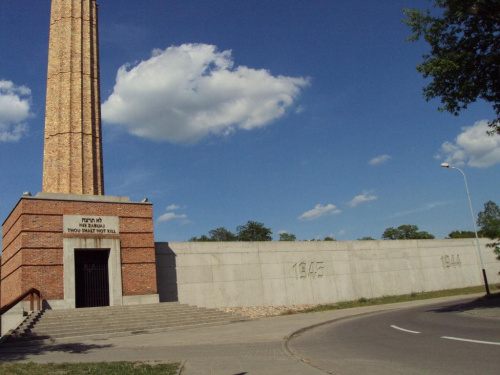 The Foundation Monumentum Iudaicum Lodzense actively included in efforts to protect this object - silent witness to the way the last one thousand Jews who passed through the Lodz ghetto.